This is an ongoing series where you ask and I answer! I’ve been side hustling as well as taking classes at night so that I can apply for a promotion at my job. I’m scared that this is not enough to support my family and my growing expenses. Can you please help? Great question Tyler, and this is something that I and many other people actually deal with on a monthly basis. It doesn’t matter how much income you earn, whether you’re living paycheck to paycheck or you’re earning $100,000 a year. These feelings are going to crop up from time to time. Paying down debt is stressful, I get it. When I was broke, jobless and had $9,000 worth of credit card debt, all I could think about the mess that I was in. It wasn’t until I got over my feelings buckled down and implemented a plan that things started to get better. Don’t get me wrong. I’m certainly not saying that you completely ignore your feelings when you’re trying to better your situation. 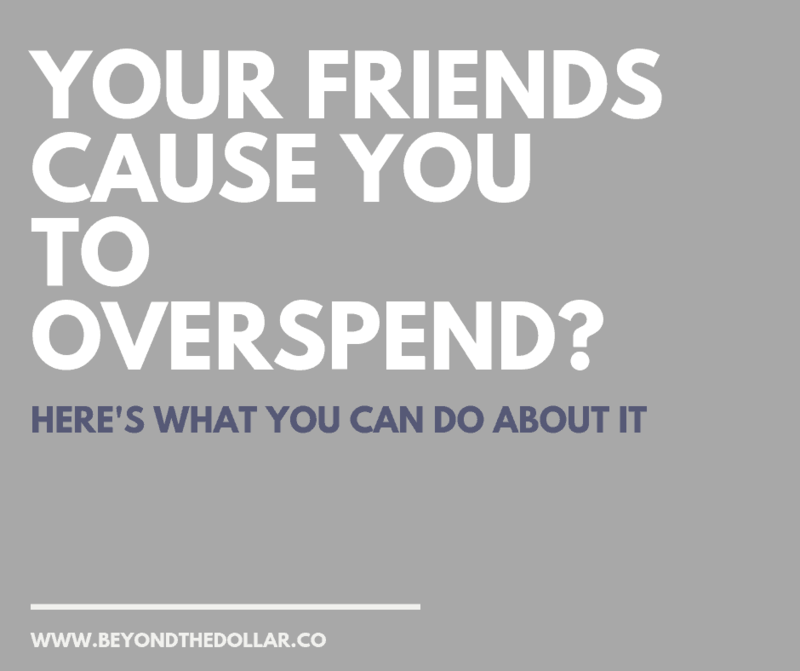 Paying down debt is so much more than just putting money aside. It’s about wrapping your head around a situation, and pushing yourself to achieve a goal. A pretty hard one might I add. It doesn’t matter how much you need to pay back. Once you lay a good foundation for eliminating your debt, it’ll be much easier (though not easy). How do you lay a good foundation? 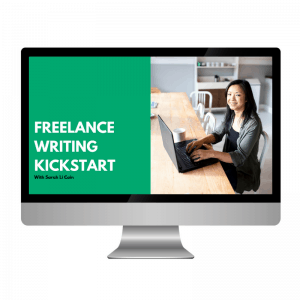 By mastering your mindset of course (if you’re a first time visitor, this is what this blog is all about). 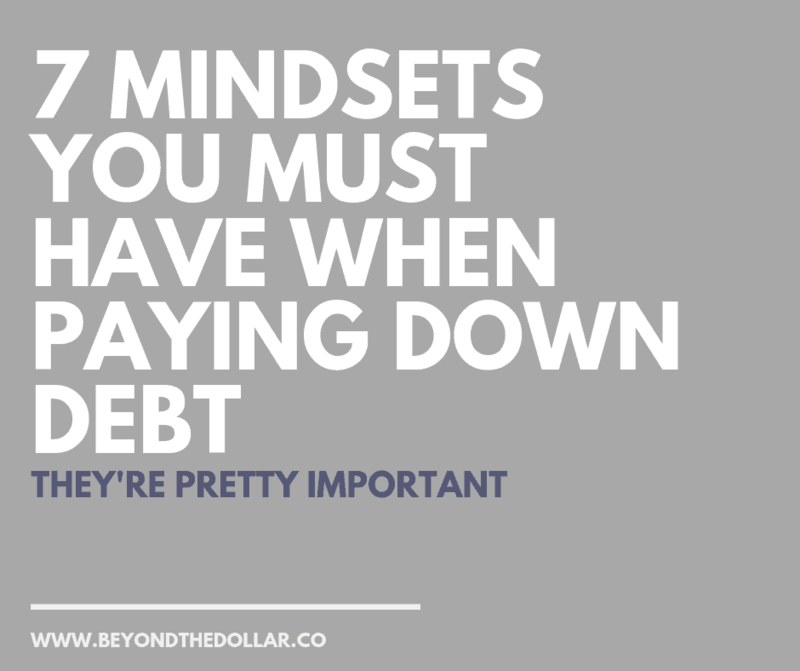 I’ve outlined seven crucial mindset shifts you must have when paying down debt. You’re a smart person and you know it. It’s not that you don’t know what compound interest is or how self-care is crucial to your finances. It’s more like you’re playing Jedi mind tricks with yourself. 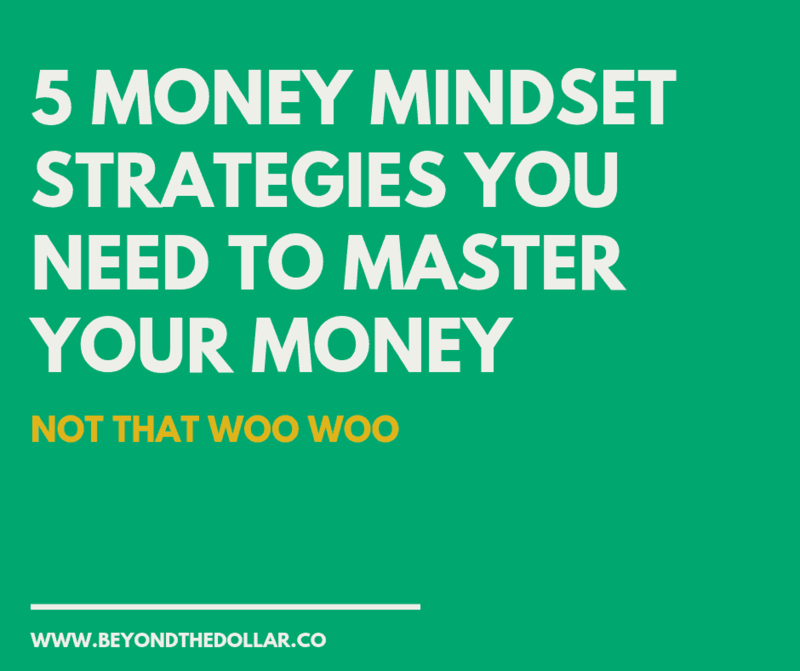 Yeah, navigating around our money mindset is tricky stuff. 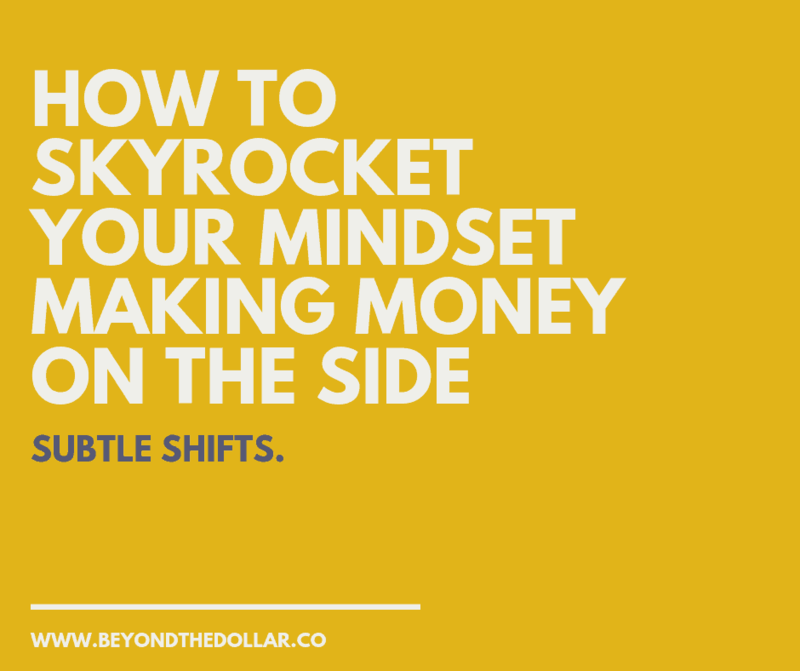 You constantly hear that you need to be more positive and learn more ways to manifest money to be rich. Puleaze. What Can I Do To Help With My Family Debt? I have a relative with huge credit card debt who is only paying the interest due. In the meantime unnecessary purchases and ‘treats’ such as restaurant dining are daily instead of saved for special occasions. Everything regarding why this needs to stop has been said. Any advice? The relative reacts as if you are waving a red cape and trying to provoke anger if you say anything they don’t want to hear. I’m sorry to hear you’re going through this! Believe it or not, this is a HUGE problem and I get asked this question all the time. 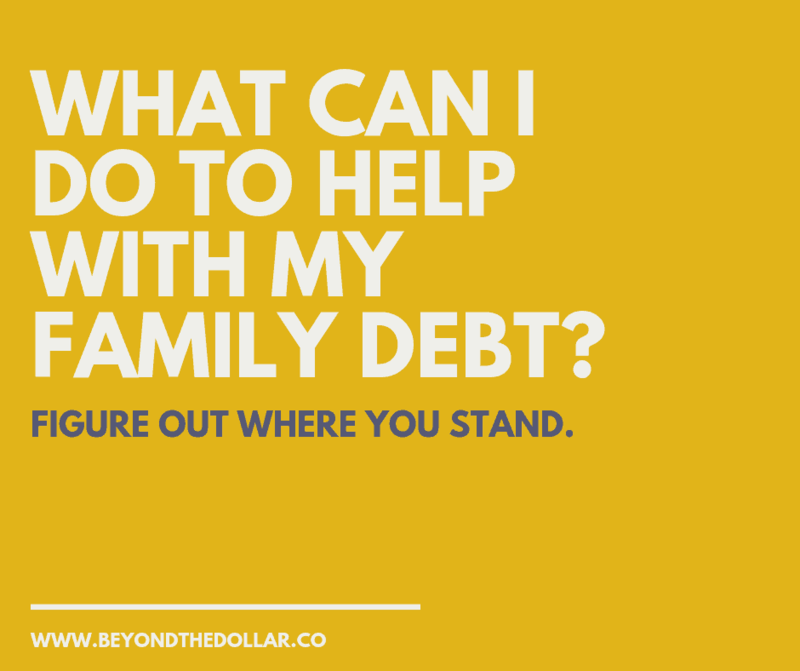 [Read more…] about What Can I Do To Help With My Family Debt? Note: This is an excerpt of my new book The Authentic Budget: Harness Your Personality to Manage Money Like a Pro On Your Own Terms. 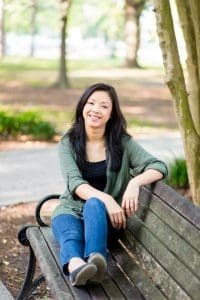 How Can I Keep Being Motivated Paying Off Student Loan Debt? Hi Sarah, I really want to have a better mindset and encouragement when it comes to paying off student loan debt. But I can’t even look at my bank account! I just feel scared, so every time I want to log into my accounts, I just shut off the computer. Can you help? Wow, thanks for sharing this with me because I get a lot of questions about really being scared of looking at your account for a number of reasons. One thing I really want you to do is to just acknowledge the fact that because you’re asking this question you’re on the way to the right path. 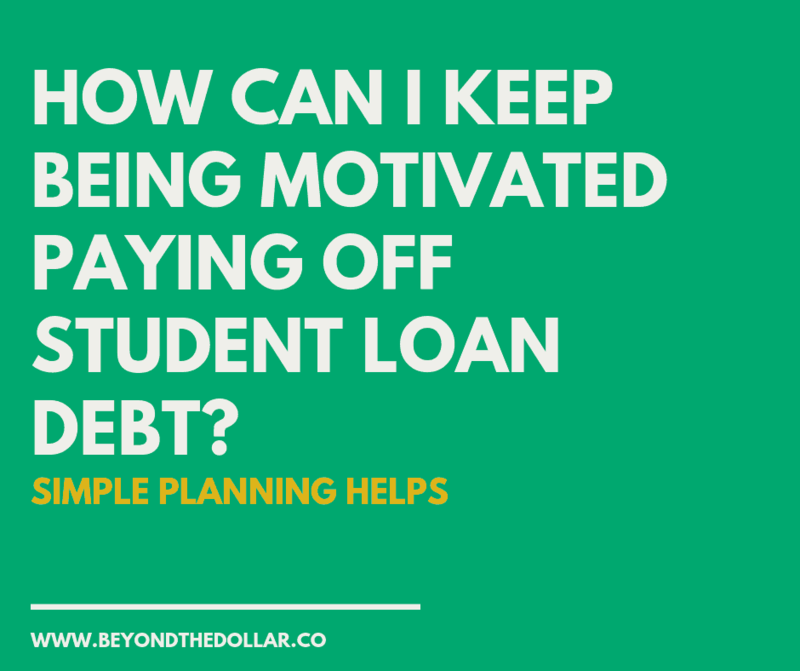 [Read more…] about How Can I Keep Being Motivated Paying Off Student Loan Debt? How Do I Create Boundaries With My Money? If you’ve read my story of heartbreak, being broke and earning my riches, then you’ll know I love the word “No”. It’s been the single most important word to help me grow my net-worth and self-worth, which has really helped me create so many boundaries with my money. Seriously. 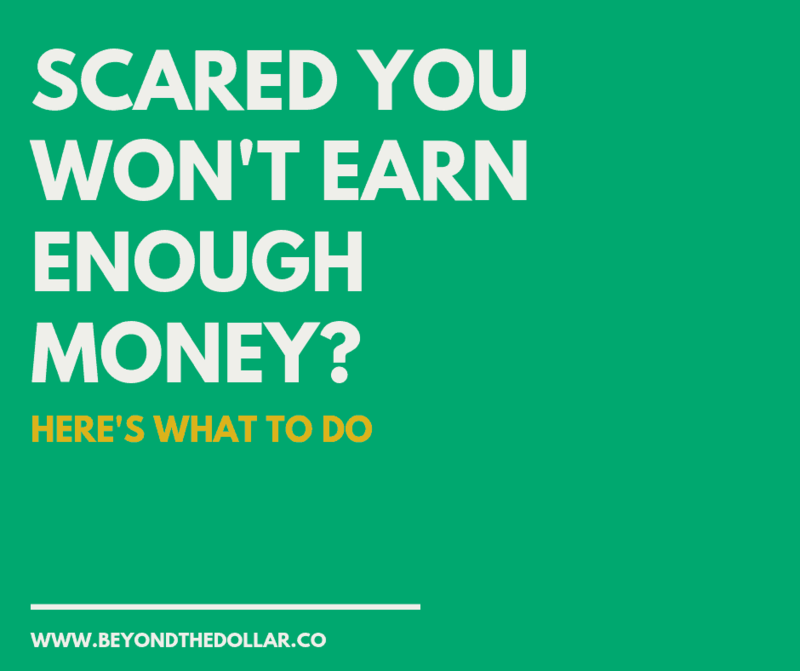 In interviews and other blog posts scattered throughout, you would have probably read (or heard that) that I equate enforcing boundaries with my money to helping me better my money situation. It’s not a hard thing to do, it’s just that people make it out to be more complicated than it has to be. When we think of the word ‘boundaries’, we think it’s this really mean thing they we do to shut people off. When I started creating more boundaries in my life, I felt like I was being really selfish, like I didn’t deserve to tell people what wanted. I want to tell you right now that it’s ok to be selfish. Thinking about yourself and what’s in your best interest will only make you happier. Actually, it’ll make the people around you a lot happier. 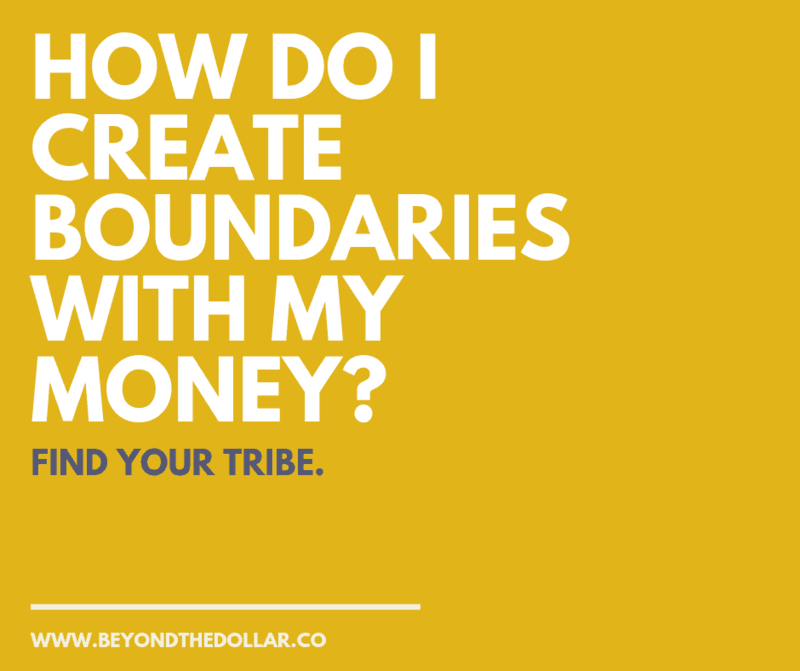 [Read more…] about How Do I Create Boundaries With My Money? Hi Sarah, I know you like to encourage people to use money wisely and you do something called values-based spending. can you elaborate on what it is and how I can do something like that? 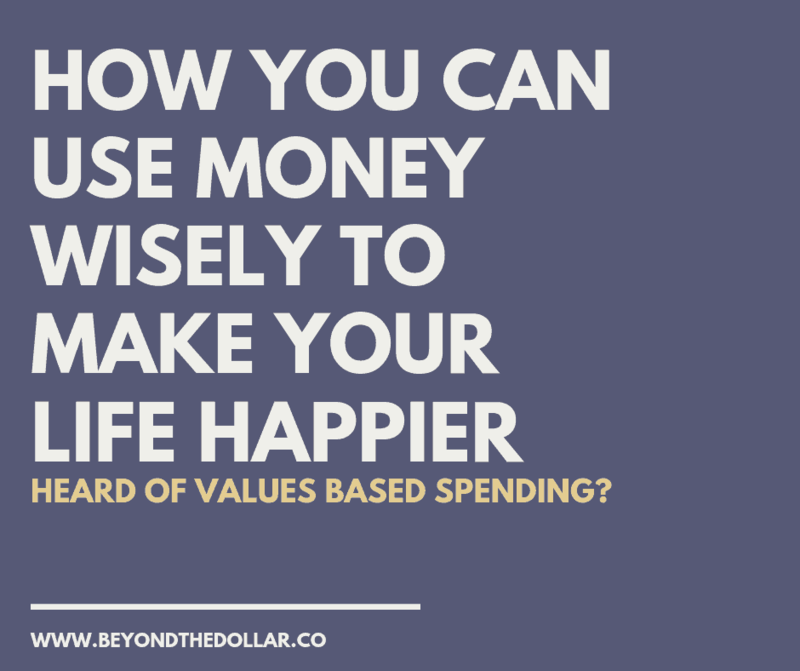 Values-based spending is actually a pretty simple concept but people tend to make it more difficult than it is because there aren’t really any hard rules to it. It’s just more guidelines that you set for yourself. A few months ago, I confessed to how emotional I was when attempting to get rid of 90% of my stuff. 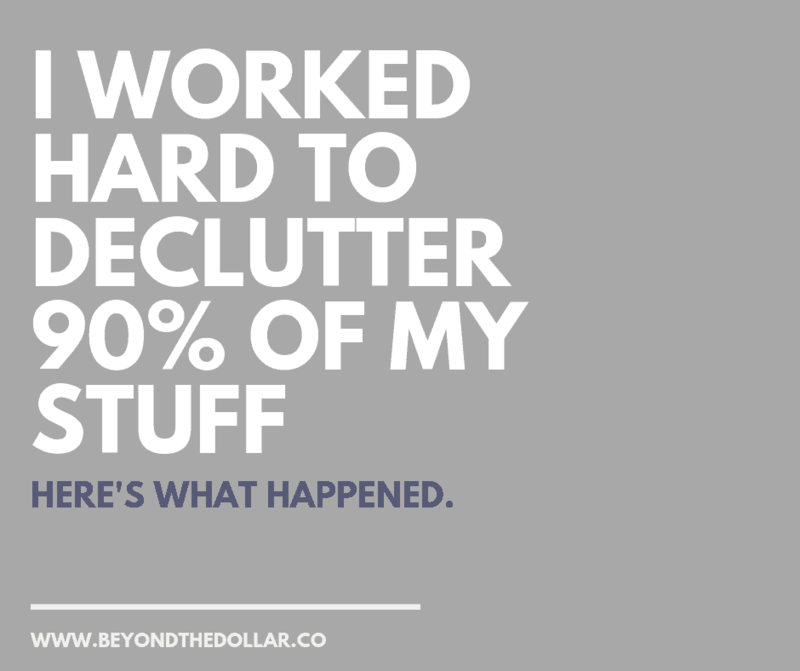 It wasn’t just a simple fact of not wanting to declutter and part with my things, it was much more than that. I experienced so much hate, anger, confusion, and worst of all – shame. Selling items I held onto since high school (I’m in my mid-thirties) made me realize how much of my identity was tied to stuff. Just stuff. In fact, I had nicknames dedicated to the things I collected and was proud of it. I was so proud to have large collections of Pez dispensers, and surrounded myself with shelves upon shelves of these cute little candy holders. Before we move on with this story, let’s backtrack a bit so I can explain why I challenged myself to get rid of 90% of my stuff.